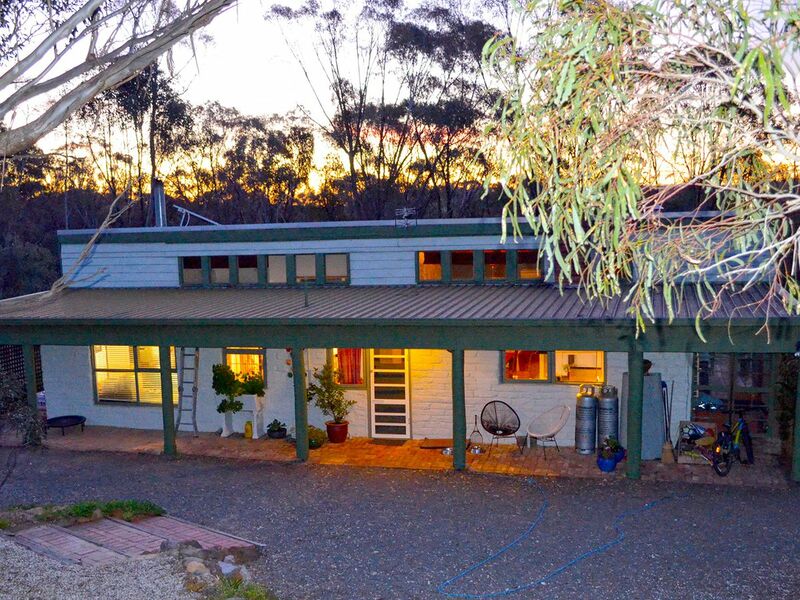 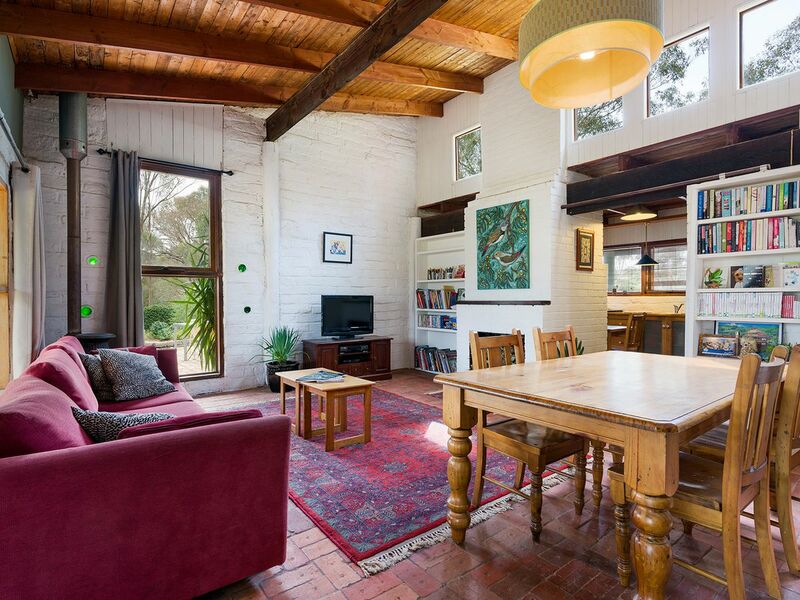 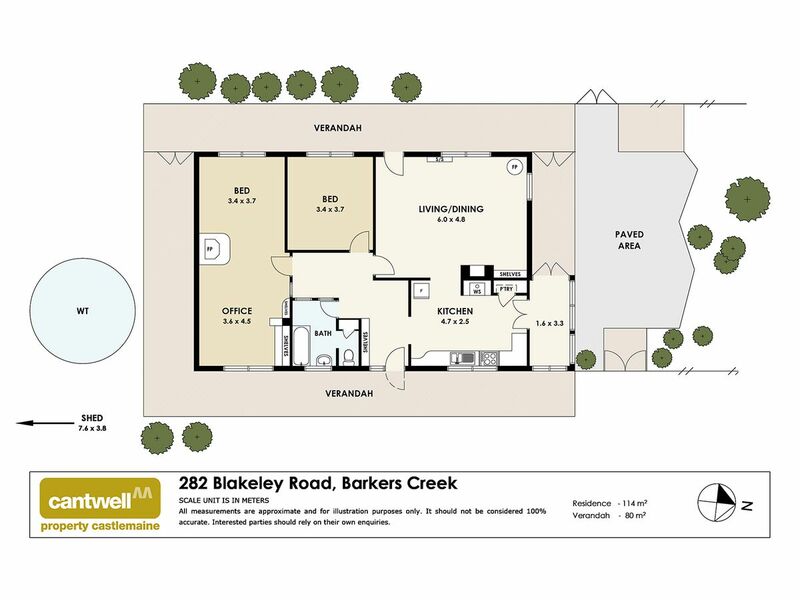 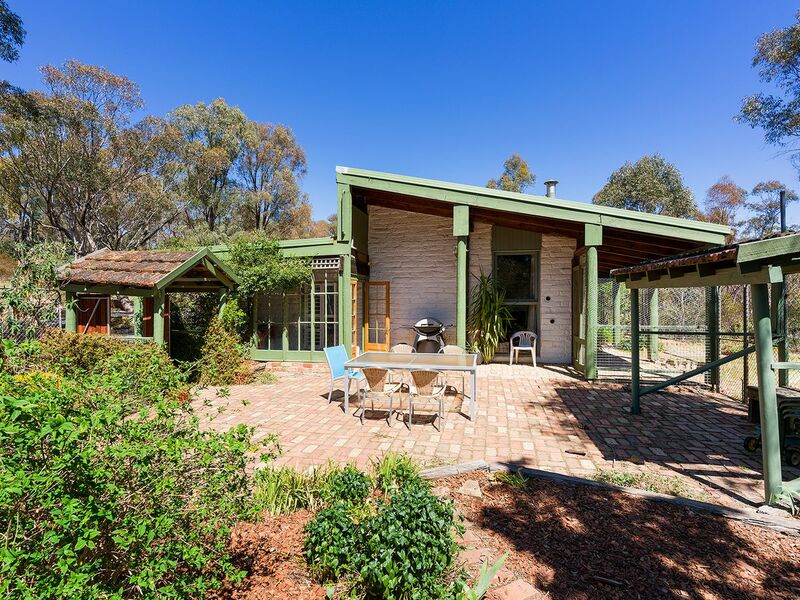 Relax and enjoy the native birds and wildlife surrounding this character-filled property. 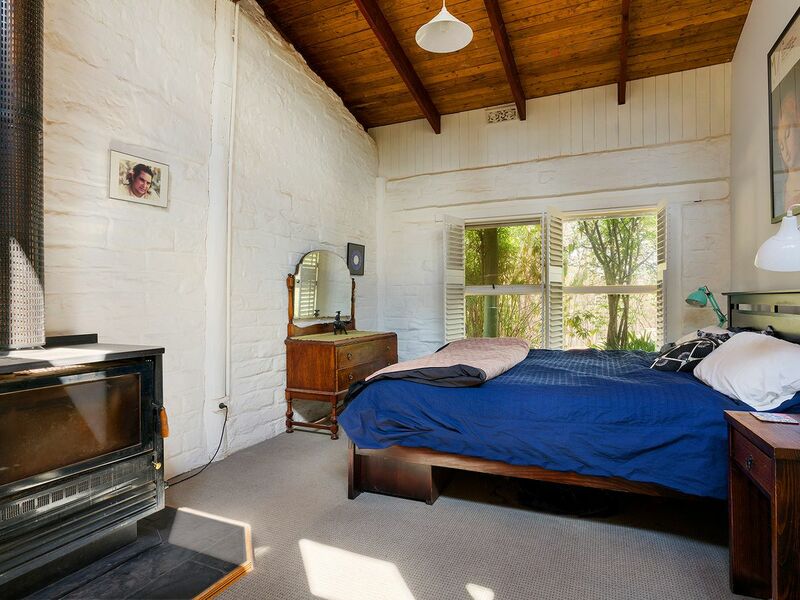 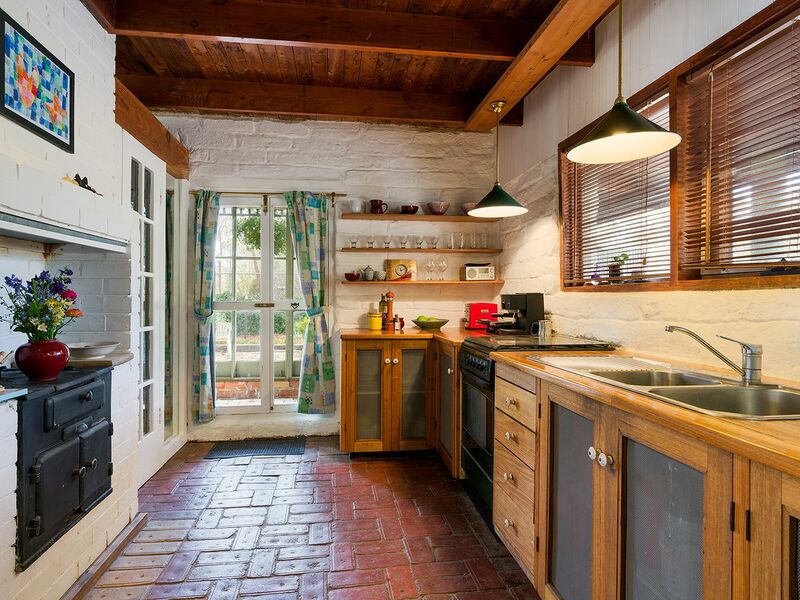 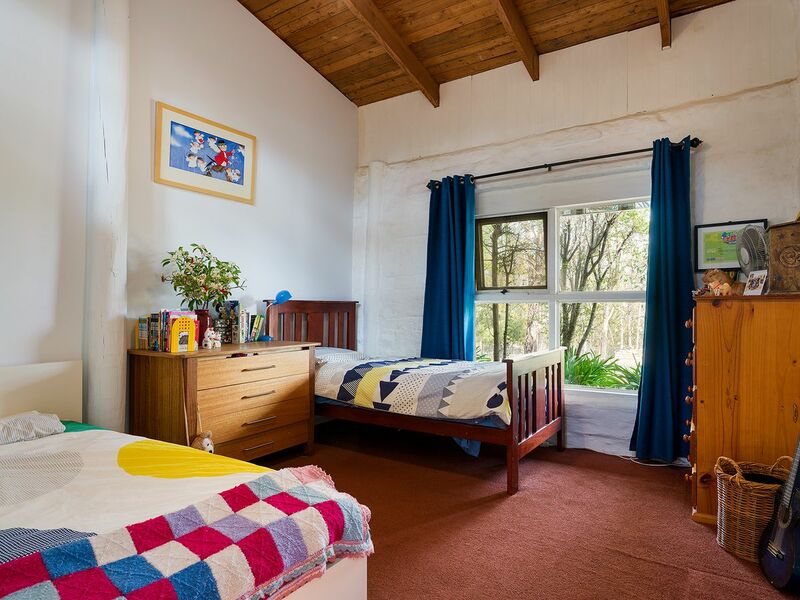 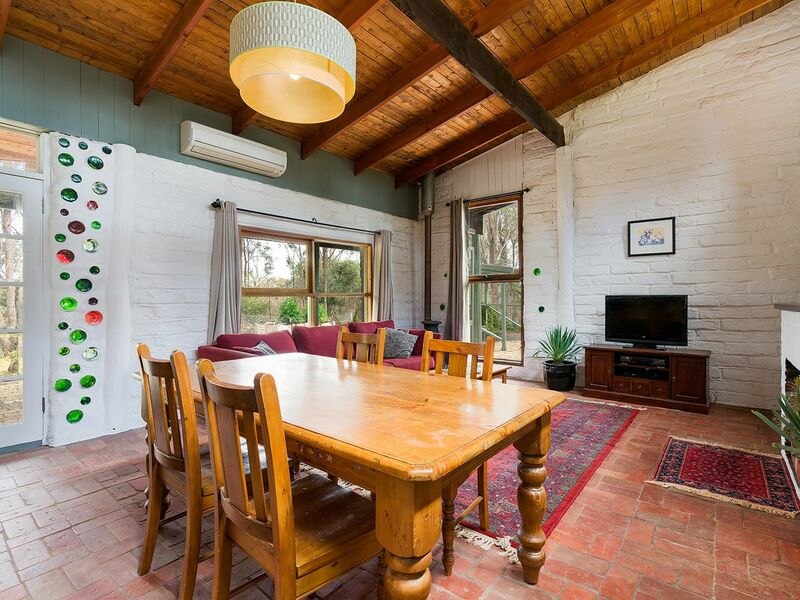 Mudbrick contemporary style and charm with white-washed walls and recycled solid timber beams, the house is gently elevated on just under five acres of bush and grazing only five minutes from the centre of Castlemaine. 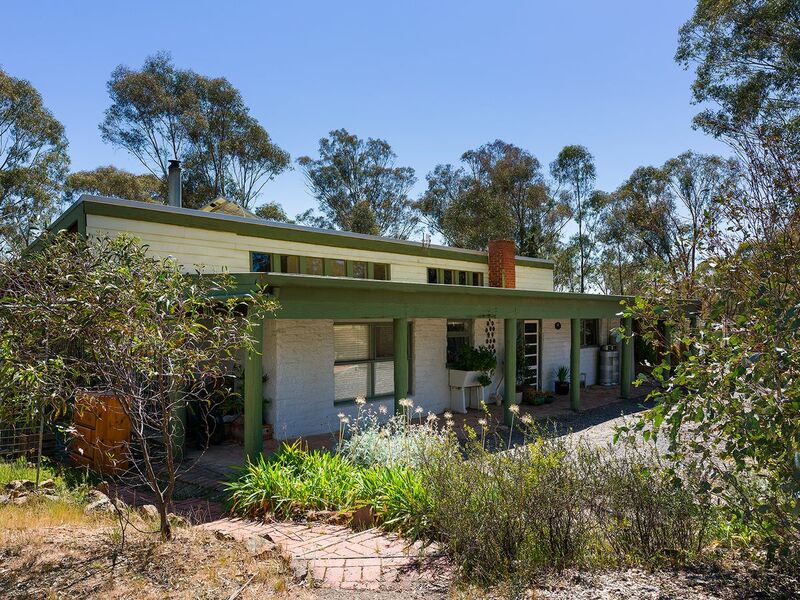 Featuring a country style kitchen with timber cabinetry, wood-fire stove and gas cooking, spacious north-facing lounge with vaulted ceiling, pot belly heating and reverse cycle unit and open fire place, rear vestibule and access to extensive paved outdoor entertaining area. 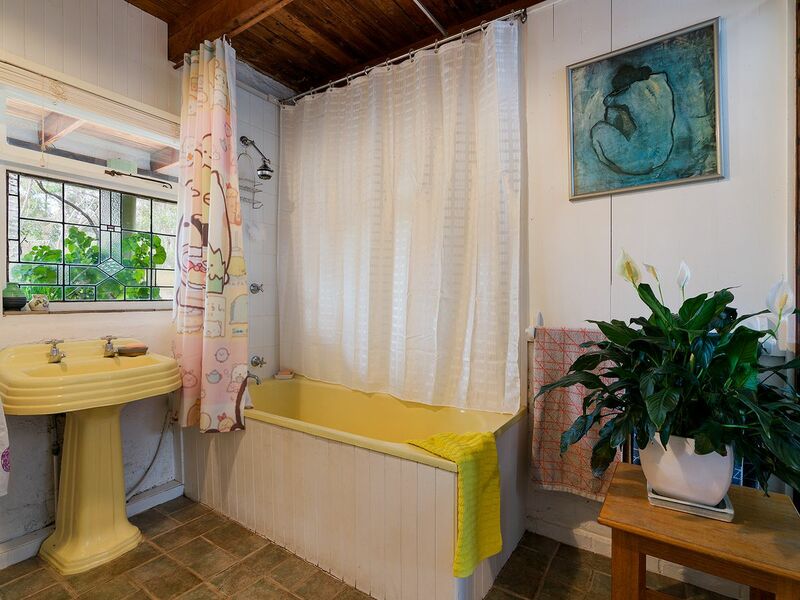 Central bathroom with vintage pedestal basin and bath and toilet, two bedrooms – the main with wood heater, storage and study area. 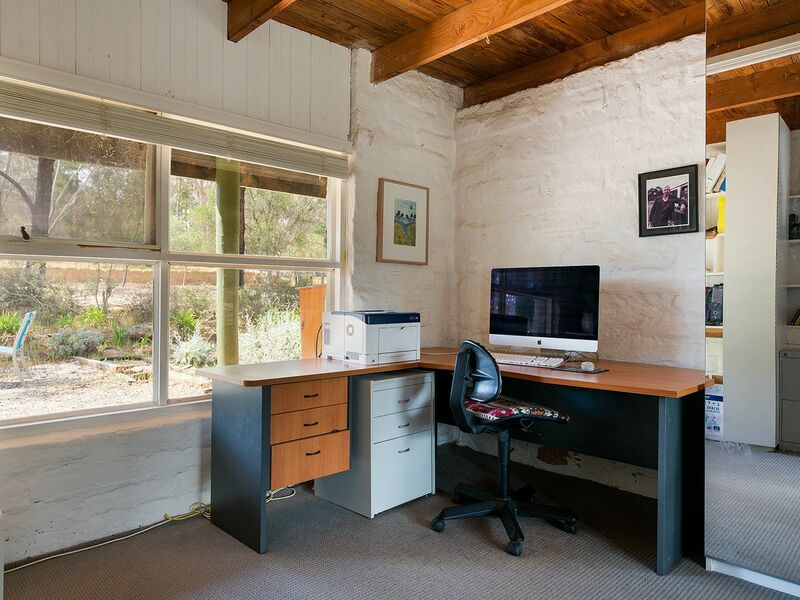 Externally there is a 4 x 8 metre shed with French doors and concrete floor; an ideal studio or workshop, large water storage, two dams, mains power and 1.5 kW integrated solar system. 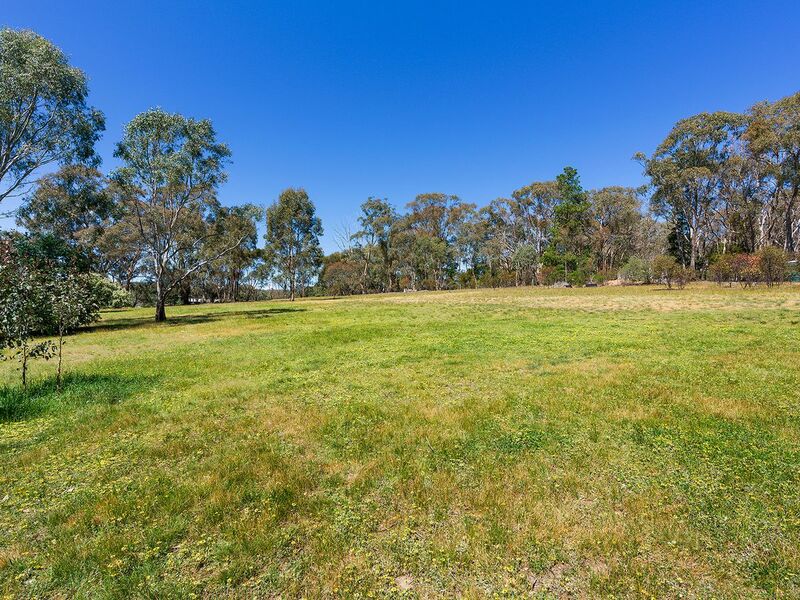 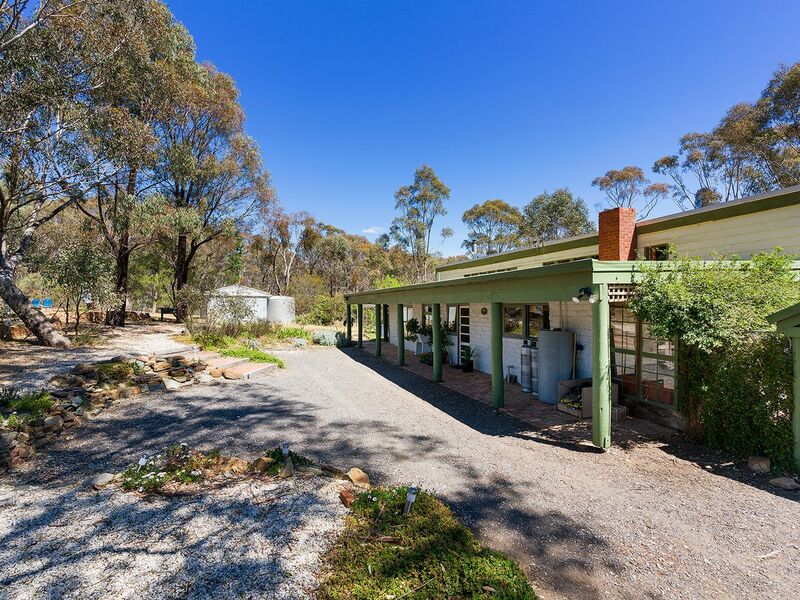 A perfect getaway for a cosy weekender or permanent residence wanting a bushland experience and room for a pony, only a short distance to the railway station, freeway and Castlemaine’s vibrant community.